R.B. Sails don’t just make sails! 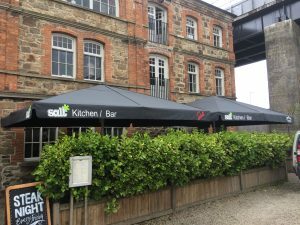 We have been making pub, restaurant and industrial parasols for years and sending them all over the UK from our workshop in Cornwall. 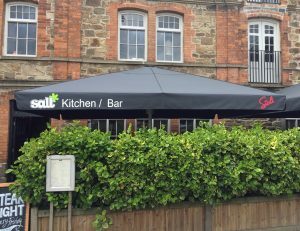 These were made for Salt Kitchen and Bar in Hayle. They are 5mtr by 4mtr in Grey Acrylic canvas (a great colour as it hides the dirt generated by vehicles) and custom printed valances. The printed valances are made to order with the clients logos. 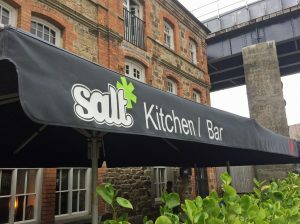 If you are in Hayle, Cornwall pop in to Salt for a bite to eat.